She was launched in 1912 as the French Brumaire-class submarine Curie (Q 87), but captured and rebuilt for service in the Austro-Hungarian Navy. At war's end, the submarine was returned to France and restored to her former name. Curie was launched in July 1912 at Toulon and completed in 1914. She measured just under 171 feet (52 m) long and displaced nearly 400 metric tons (390 long tons) on the surface and just over 550 metric tons (540 long tons) when submerged. At the outbreak of the First World War in August 1914, Curie was assigned to duty in the Mediterranean. In mid-December, Curie's commander conceived a plan to infiltrate the Austro-Hungarian Navy's main base at Pola, but during the 20 December attempt, the vessel became ensnared in harbor defenses. Two Austro-Hungarian ships sank Curie, killing three of her crew; the remainder were taken prisoner. 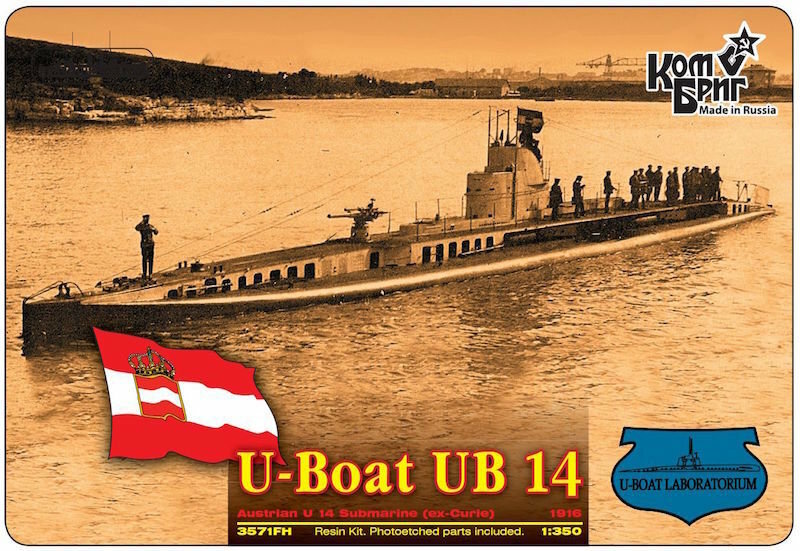 The Austro-Hungarian Navy, which had a small and largely obsolete U-boat fleet, immediately began salvage efforts and succeeded in raising the lightly damaged submarine in early February 1915. After a refit, the boat was commissioned as SM U-14 in June, but had little success early in her career. When her commander fell ill in October, he was replaced by Georg Ritter von Trapp. U-14 was damaged by a depth charge attack in February 1916, and underwent an extensive modernization through November. Resuming duty under von Trapp, U-14 sank her first ship in April 1917, but had her most successful patrol in August, when she sank five ships—including Milazzo, reportedly the largest cargo ship in the world—in a six-day span. In January 1918, von Trapp was replaced as commander, but neither of his two successors were able to match his accomplishments. In all, U-14 sank 11 ships with a combined gross register tonnage of nearly 48,000 tons. Returned to France at the end of the war, she rejoined the French Navy in July 1919 under her former name of Curie. She remained in service until 1928 and was scrapped in 1929.